History lessons in our classrooms should not be limited to the names of men and only a few women -- especially when there are countless women who have made enormous strides and contributions in every aspect of life. The revolutionary rhetoric of Angela Davis, the record-breaking feats of Wilma Rudolph and the glass ceiling-shattering efforts of Shirley Chisolm paved the way for women and girls across the country and around the world to dream big and act courageously. 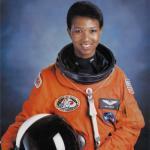 Here are selected mini portraits of some of these phenomenal women everyone should remember during Women�s History Month. How can you Teach your Young Child about Different Holidays? As the holiday season approaches, it's important to remember there are a diverse set of holidays available to explore. It's important that children understand and express their own family traditions and beliefs, but the holiday season can be a great time to encourage exploration of other cultural traditions and beliefs as well. Learning about other cultures helps expand your child�s experiences and world and helps create understanding across cultures. The holidays are a fun and joyous time but also a very busy one, and holiday stress and anxiety in children can and does happen. During the holidays, there are lots of fun activities and events going on, both at home and at school. And while that can be a good thing, the reality is that all that hustle and bustle means schedules are often out of whack, bedtimes get pushed back, and routines are disrupted. As a result, it's inevitable that kids may feel some degree of holiday stress. 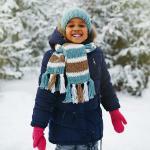 Whether winter brings severe storms, light dustings or just cold temperatures, the American Academy of Pediatrics (AAP) has some valuable tips on how to keep your children safe and warm. Please read and share with others. This is Sophie's nightmare: One day, immigration agents will show up at her home in Los Angeles to deport her mother and father. Sophie Cruz, 6, was born in California to undocumented parents originally from Oaxaca, Mexico. Despite her tender age, she clearly understands the difference between her U.S. citizenship and her parents� immigration status. National Hispanic Heritage Month, which begins on Sept. 15th, celebrates American Hispanics, their culture, history and traditions. 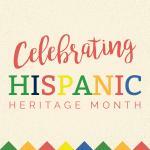 Started in 1968 by Congress as Hispanic Heritage Week, the celebration was expanded to a month in 1988.